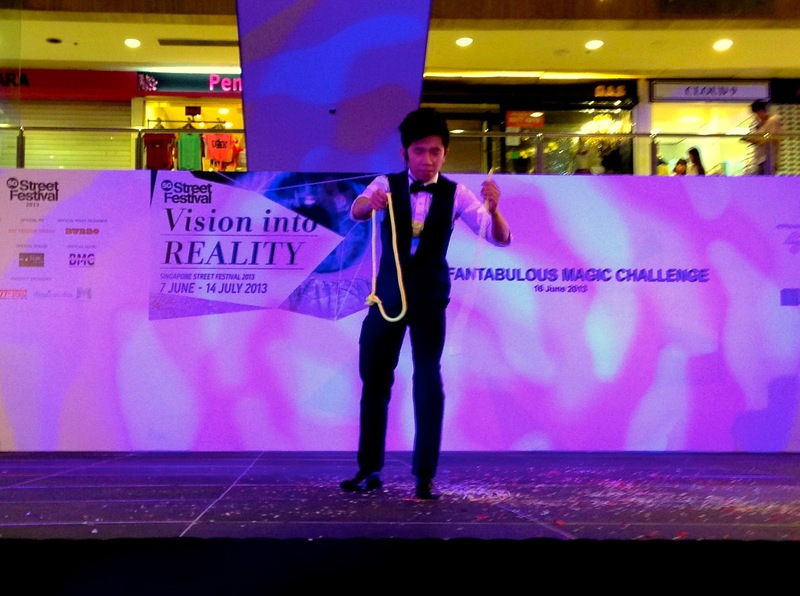 Kiki Tay's Blog: Judging the Singapore Street Festival Magic Competition! Judging the Singapore Street Festival Magic Competition! 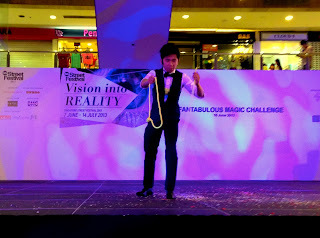 This is the second time I judged the Singapore Street Festival Magic Competition. The competition is getting stronger and stronger, with many new impressive acts and performers. I was overwhelmed by the amazing talents that we have in Singapore. Many of them had achieved a level higher than I had ever achieve. I was amazed at all the creativity and hard work they put into this competition. I had the opportunity to share the judging panel with Mark Parker, a renowned illusion designer who had worked with some of the biggest names in magic. Mark designed the piano illusion performed by Lu Chen during China's new year countdown TV programme which was broadcasted live around the world. 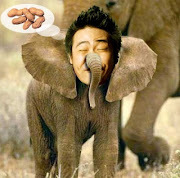 Mark shared with me some interesting behind-the-scene photos during rehearsals of Lu Chen's illusion. Judging the competition was tough, as many of the acts were impressive. It's very hard to say who is better than who. In my opinion, they were all winners! I have never competed in a magic competition my whole life. I guess I haven't had enough courage to face the pressure thus I have very high respect to all the competitors! In the end the scores were tallied and Cassidy, Wai Hoe & Deng Jun came in top three. And Cassidy was the champion! In the competition, I got to see all the hard work and dedications the contestants had put in. As a performer myself, I understand how much work is involved behind the scenes that allows for a good show on stage. Everybody did their best out of passion and I can see it from their work. In my mind, all who took part were champions! They all accomplished something that I couldn't. Thank you everybody at the Singapore Street Festival for this amazing experience!